Starting in september Pat Sloan was doing a 17 week sew along on her Facebook site called Merry and bright.. I started making it along with everyone and soon realized that i did not like some of her blocks so I went ahead and made my own.. It all started with the gingerbread man from an earlier post. In the end ended up swapping 7 of her blocks and adding a sashing with cornerstones to give my quilt its own life. I also tried to embellish each block. 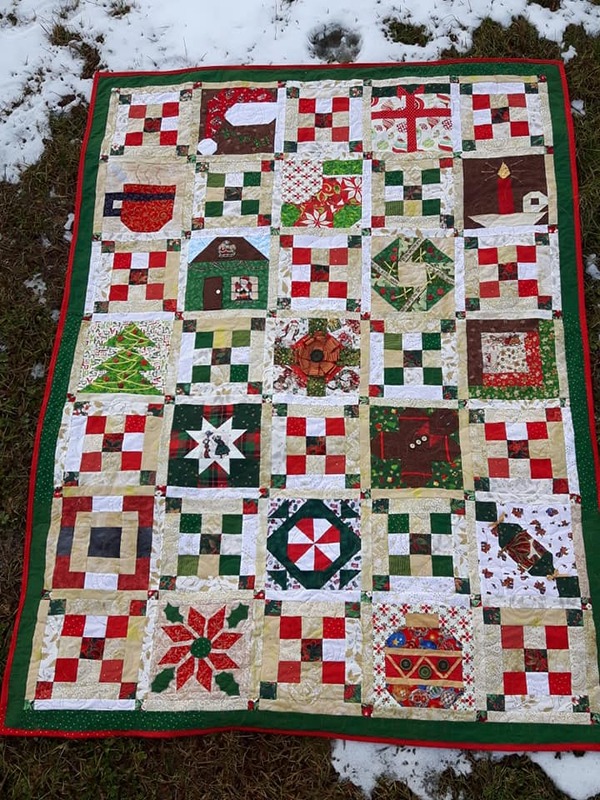 This entire quilt was made from materials from my Christmas bin with the exception of the alternating blocks.. I purchased a jelly roll for these. now for her blocks the 3rd week i think she gave us the alternating blocks.. a 9 patch. These are the rest of the blocks that I made from her patterns.